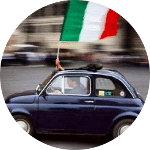 Your first step to get an Online Course of Italian is taking a FREE Trial Class. The Italian Trial Class lasts 45 min. The Italian Trial Class is FREE. It lasts 45 minutes while the standard classes last 60 minutes. During the class you will have a way to understand how the lessons are held. Together you will receive an evaluation of your Italian knowledge that will be useful to assign you your correct level. You will attend a Course that will be suitable for your level and customised to your learning needs. Also, the Italian Trial Class is a way of knowing eachother and of defining the goals of your course. We want to give our student the highst quality and flexibility. 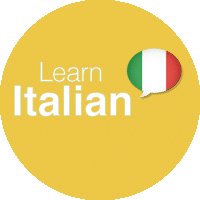 You will take this Trial Class of Italian with Silvia, that founded Italian Virtual School in 20013 and you will attend the Course with our Teachers Team. We recommend you to perform this Placement Test unless you are absolute beginners. The results will be shared during the Italian Trial Class. They are useful in order to have a clear and accurate evaluation of your level. After the Italian Trial Class, according to your the level and your targets, we will decide which book to use for the course. They are those normally used in the Schools here in Italy. You can buy them via Amazon. Just remember that the price of the book is not included in the course price and that you should get the books on your own. 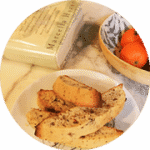 In addition to the standard books many other learning materials are available on our Blog. Also you find on YouTube the Italian Virtual School Channel. You can find there Videos about the Italian Grammar and the Italian Phonetics. Please contact us if you need some more help or information.